Down 4-3 with 5 minutes, 55 seconds remaining in the third quarter, No. 7 Severn scored three straight goals to end the quarter and never trailed again as the host Admirals upended No. 3 Boys’ Latin, 8-7, in Severn Tuesday afternoon, in a pivotal MIAA A Conference lacrosse game. 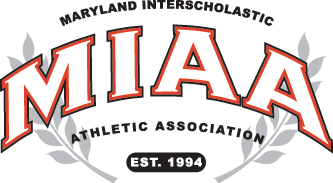 Playing for their playoff lives, the Admirals (7-8 overall) improved to 4-4 in the A Conference and, with just two games to play, Severn is a half game back of BL (10-4 overall, 4-3 MIAA A), which has lost three of its last four and is currently in the sixth and final playoff position. Dylan Gergar was the offensive star for Severn, scoring three goals and adding three assists and Henry Rentz also netted a hat-trick. The Admirals also got a huge effort from face-off specialist Jacob Jarosz, who won 12-of-18 draws and Cooper Emmons had 12 saves. Jon Jarosz and Gavin Johnson each had one goal. Brendan Grimes scored three goals to lead Boys’ Latin.